Home ShoppingReviews Should You Really Trust Yelp Reviews? Yelp is a popular review site that many use to find information on restaurants, shopping, hotels, night clubs and even doctors, lawyers or mechanics. Getting the unbiased opinions of a community of people online can seem an invaluable tool in making a decision and, in many ways, the data provided by Yelp and similar sites is a good way to narrow down your choices or to choose a place to go. 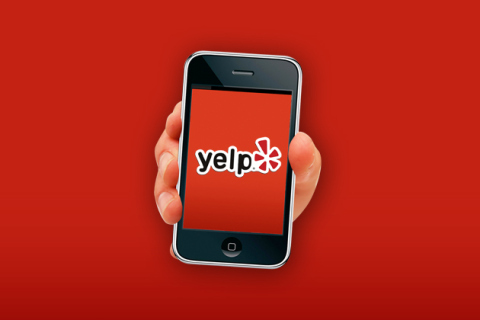 Unfortunately, relying too much on Yelp might not be the best idea because there are some significant flaws with the site (and many other online review sites) that need to be taken into account. Anyone can post a review in Yelp- and some of the reviews are planted. Restaurant owners or store owners may post glowing reviews of their own product and service. Some restaurateurs and retailers will even pay people to post positive reviews, resulting in a whole lot of five star reviews that were paid for and that don’t reflect the actual quality. Reviews on Yelp are 100 percent anonymous. This means it is easier for people to post fake reviews of their products, restaurants or services. It also means that people are free to say whatever they want, whether it is true or not, without worry about being found out. There’s no guarantee that people who post even visit the restaurants or use the services they are reviewing. There have even been cases of negative reviews showing up on Yelp for restaurants that have not yet even opened. Yelp may sort its reviews in dishonest ways. Yelp is not clear on the algorithm used to explain how reviews are ordered on their site. Some reports have indicated that Yelp might be pushing bad reviews down lower if the restaurant agrees to pay for advertising on their site. The star system on Yelp doesn’t have a clear-cut meaning. There are no guidelines on the site for what different starred reviews mean. A five star review, for example, might mean that the restaurant was impeccable and perfect or it might mean that the restaurant was acceptable and met a person’s tastes even if it was nothing spectacular. Without some objective explanation attached to what each star means, it is hard to make a determination on exactly what the star rating indicates about a store. There is a very small group of restaurant visitors actually reviewing on Yelp. Most people read reviews on the site but don’t post reviews themselves. This means the site may be primarily populated with reviews from people who had a really bad experience or a really good experience, since people who just have a mediocre time may not be inclined to bother to go on a website and right reviews. For all of these reasons, it is important to remember that while Yelp provides a good source of information, it also has some significant limitations that you need to consider when deciding how much weight to give to the stars on the site. Reviews Online – Can You Trust Them?